With the turn of the calendar to September, Walmart is getting serious about holiday shopping. The clearest sign is moving up the start day of its layaway program to September 2. Layaway is sort of a throwback to an earlier time, before there were credit cards. Consumers who lacked the cash to make a purchase could “lay the item away,” paying a little each week. It was especially popular around the holidays. Stores like Walmart and Kmart have brought the concept back in recent years, primarily for consumers who don't have credit cards. 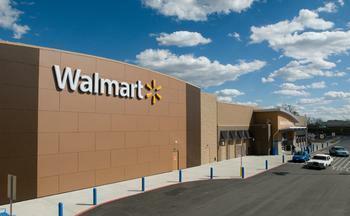 According to Walmart, consumers can put select category items on layaway until December 12. There is no fee for opening an account, but a down payment of $10 or 10% of the purchase, whichever is greater, is required. Categories eligible for layaway include electronics, toys, infant toys, infant furniture, small appliances, large furniture, auto electronics, select sporting goods, and jewelry. Only in-store purchases are eligible. Walmart took some heat when it launched its holiday layaway program five years ago. That's because in the beginning, the retailer charged an upfront fee to open an account. At the time, Sen. Chuck Schumer (D-NY) criticized the program as “hideaways for sky-high interest rates” that consumers wouldn't pay to a credit card company. Now, most major retailers have adopted layaway programs and have waived the fee to open an account. These accounts proliferated in the wake of the 2008 financial crisis when millions of consumers saw their credit cards unilaterally canceled by lenders or their credit limits reduced.